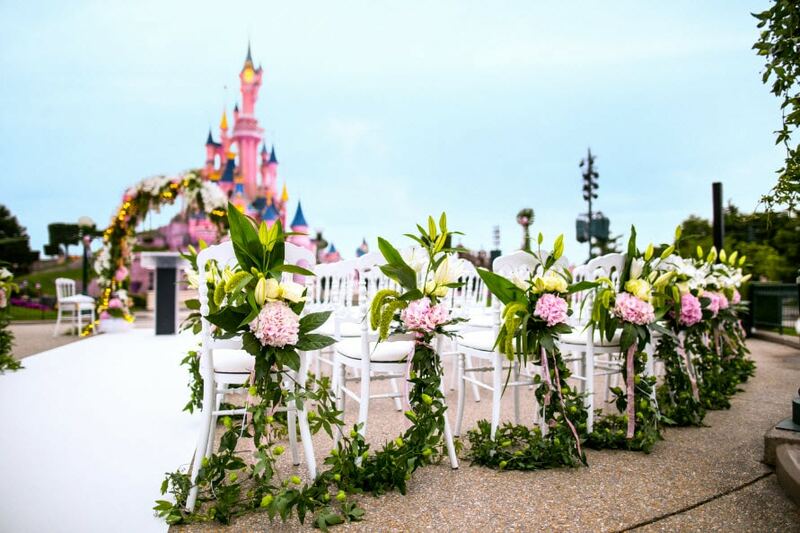 Always dreamt about a Disney wedding? Disneyland Paris has finally added the option to have your own Disney’s Fairy Tale Wedding. These options have been long available at the Walt Disney World Resort and Disneyland Resort. Having stayed twice at this hotel in the last few months since its renovation, we can surely tell you that if you are into the nautical setting, this can’t go wrong. It does offer you a Disney magical feel, but it is not too much Disney. Your guests (and you) also won’t go bankrupt when staying overnight. We haven’t stay at this hotel yet, but walking around the lobby and going up the stairs to the restaurant and bar, the Victorian feel is amazing. It is closer to the park which gives it an additional magic feeling. Although the hotel adds a nice feel to your wedding, we do think it requires some love and attention (and a good renovation). It can’t get any more Disney than this. Having your wedding right in front of Sleeping Beauty Castle. Surely a few people have dreamt of this and now it is possible. Of course as the park still has its normal operating hours, expect to have a really early wedding and that there is a hard stop as the park has to be made ready and available to other guests. Besides the above mentioned packages, almost anything is possible when you have a Disney wedding. A quick look at the impressions, you can have a wedding photo shoot in front of Sleeping Beauty’s carriage, customized decorations and more. Just talk to your own Fairy Fairy Godmother, also known as your Planner, and they can help you with planning your Disney wedding. While we love Disney and did indeed look into getting married at one of the resorts, we spent our honeymoon at a Disney theme park. This was a good decision as we had a great wedding for which we could invite some more people and not break the bank. And after that, we were able to spend a few days at the parks, enjoy the hotel and the surroundings. When you don’t have the money for a Disney wedding, you can always go to your favorite Disney park. You could even put some ideas for Disney things on your gift registry. Like a dinner at your favorite restaurant, a tour or even just some gift cards. Check for more information the Disneyland Paris – Disney’s Fairy Tale Wedding page.